The Moroccan flic-flac spider, Cebrennus rechenbergi. Image credit: Ingo Rechenberg. 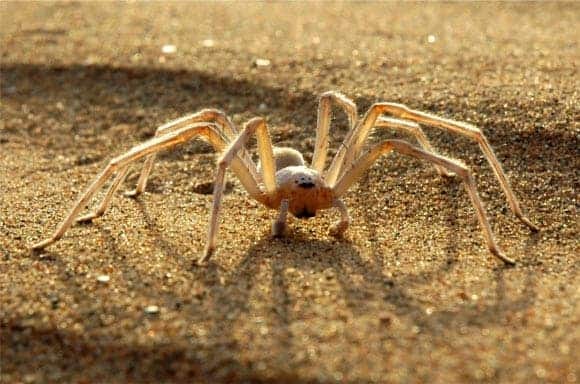 A most peculiar spider has been discovered by entomologists in the sandy dunes of Morocco’s southeastern desert, Erg Chebbi. Called Cebrennus rechenbergi, the spider can perform flic-flac jumps at almost 2 m/sec, allowing it to swiftly cross the desert. In fact, the common name of the species is the Moroccan flic-flac spider. “Like a gymnast, it propels itself off the ground, followed by a series of rapid flic-flac movements of its legs,” explained Dr Peter Jäger from Senckenberg Research Institute, who describes Cebrennus rechenbergi in the Zootaxa paper. 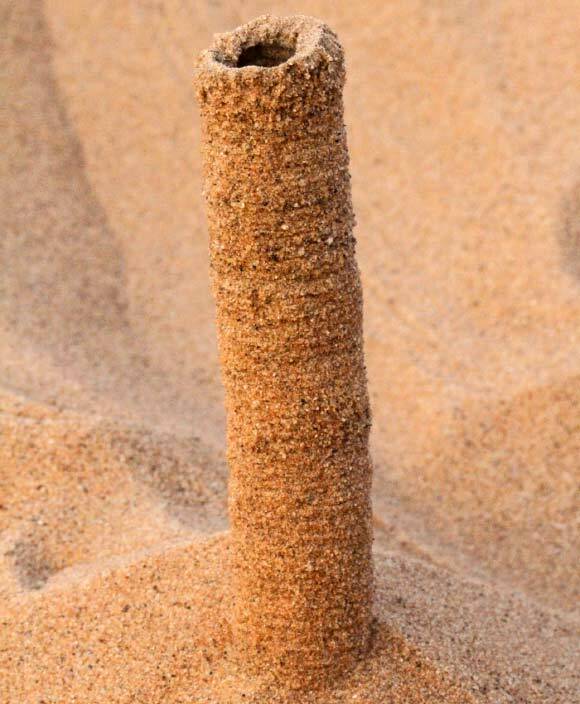 Besides being an accomplished ‘athlete’, the Maroccan spider is also a master builder as proved by tube-like domicile in the sand it erects, attached by silk threads. This shelters the spider against the sun and predators. Burrow of the Moroccan flic-flac spider, Cebrennus rechenbergi. Image credit: Ingo Rechenberg. Cebrennus rechenbergi was described in a paper published in the journal Zootaxa. Check out the video below to see the spider’s acrobatics.